As the United States slowly emerges from the Great Recession, a remarkable shift is occurring in the spatial geography of innovation. For the past 50 years, the landscape of innovation has been dominated by places like Silicon Valley—suburban corridors of spatially isolated corporate campuses, accessible only by car, with little emphasis on the quality of life or on integrating work, housing and recreation. 1 Anchor institutions are research universities and research—oriented medical hospitals with extensive R&D. A new complementary urban model is now emerging, giving rise to what we and others are calling “innovation districts.” These districts, by our definition, are geographic areas where leading-edge anchor institutions and companies cluster and connect with start-ups, business incubators and accelerators.1 They are also physically compact, transit-accessible, and technically-wired and offer mixed-use housing, office, and retail. –Pete Engardio, “Research Parks for the Knowledge Economy,” Bloomberg Businessweek Our most creative institutions, firms and workers crave proximity so that ideas and knowledge can be transferred more quickly and seamlessly. Our “open innovation” economy rewards collaboration, transforming how buildings and entire districts are designed and spatially arrayed. Our diverse population demands more and better choices of where to live, work and play, fueling demand for more walkable neighborhoods where housing, jobs and amenities intermix. 2 Select excerpts come from the recent book, The Metropolitan Revolution, co-authored by Bruce Katz and Jennifer Bradley. The New Geography of Innovation Today, innovation is taking place where people come together, not in isolated spaces. Innovation districts constitute the ultimate mash up of entrepreneurs and educational institutions, start-ups and schools, mixed-use development and medical innovations, bike-sharing and bankable investments—all connected by transit, powered by clean energy, wired for digital technology, and fueled by caffeine. Given the vast distinctions in regional economies, the form and function of innovation districts differ markedly across the United States. Yet all innovation districts contain economic, physical, and networking assets. When these three assets combine with a supportive, risk-taking culture they create an innovation ecosystem—a synergistic relationship between people, firms and place (the physical geography of the district) that facilitates idea generation and accelerates commercialization. All innovation districts contain economic, physical, and networking assets. Innovation drivers are the research and medical institutions, the large firms, start-ups and entrepreneurs focused on developing cutting-edge technologies, products and services for the market. Due to regional variations in industry strengths, each district is comprised of a unique mix of innovation drivers. Tech driven industries most likely to be found in Innovation Districts include: high-value, research-oriented sectors such as applied sciences and the burgeoning “app economy”; highly creative fields such as industrial design, graphic arts, media and architecture; and highly specialized, small batch manufacturing. Innovation cultivators are the companies, organizations or groups that support the growth of individuals, firms and their ideas. 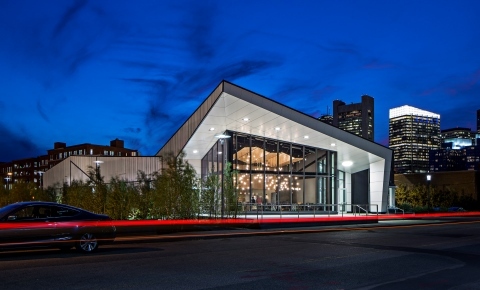 They include incubators, accelerators, proof-of-concept centers, tech transfer offices, shared working spaces and local high schools, job training firms and community colleges advancing specific skill sets for the innovation-driven economy. 3 See Christopher Leinberger and Mariela Alfonzo, “Walk this Way: The Economic Promise of Walkable Places in Metropolitan Washington DC” (Washington: Brookings Institution, 2012). 4 Michael Jaroff, Dennis Frenchman, Francisca Rojas, “New Century City Developments Creating Extraordinary Value” (Cambridge: Massachusetts Institute of Technology, 2009). Physical assets in the public realm are the spaces accessible to the public, such as parks, plazas and streets that become locales of energy and activity. In innovation districts, public places are created or re-configured to be digitally-accessible (with high speed internet, wireless networks, computers and digital displays embedded into spaces) and to encourage networking (where spaces encourage “people to crash into one another”).4 Streets can also be transformed into living labs to flexibly test new innovations, such as in street lighting, waste collection, traffic management solutions and new digital technologies. Physical assets in the private realm are privately-owned buildings and spaces that stimulate innovation in new and creative ways. Office developments are increasingly configured with shared work and lab spaces and smaller, more affordable areas for start-ups. A new form of micro-housing is also emerging, with smaller private apartments that have access to larger public spaces, such as co-working areas, entertainment spaces and common eating areas. 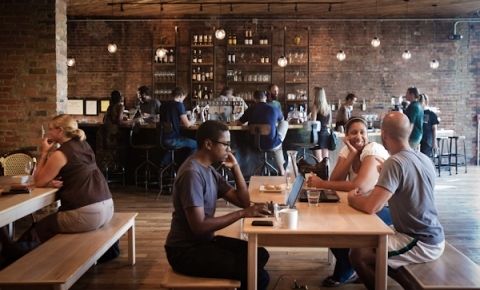 Physical assets that knit the district together and/or tie it to the broader metropolis are investments aimed to enhance relationship-building and connectivity. For some districts, knitting together the physical fabric requires remaking the campuses of advanced research institutions to remove fences, walls and other barriers and replace them with connecting elements such as bike paths, sidewalks, pedestrian-oriented streets and activated public spaces. Strategies to strengthen connectivity between the district, adjoining neighborhoods and the broader metropolis include infrastructure investments, such as broadband, transit and road improvements. –Dennis Lower, Cortex Networks fuel innovation because they strengthen trust and collaboration within and across companies and industry clusters, provide information for new discoveries and help firms acquire resources and enter new markets. 5 Mark Granovetter, “The Strength of Weak Ties,” American Journal of Sociology 78 (6)(1973): 1360-1380. Strong ties occur between people or firms with a working or professional history that have higher levels of trust, are willing to share more detailed information, and are more apt to participate joint problem solving. Networking assets that build strong ties focus on strengthening relationships within similar fields. These types of assets include: “tech regulars” (where “techies” discuss problems or advances in their work as a collective), workshops and training sessions for specific fields, industry-specific conferences and meetings and industry-specific blogs for local firms and entrepreneurs. 6 Tom Elfring and Willem Hulsink, “Networks in Entrepreneurship: the Case of High-technology Firms,” Small Business Economics 21 (2003): 409-422. Weak ties occur between people or firms working within different contexts or economic clusters where there is infrequent contact. Weak ties provide access to new information, new contacts and business leads outside of existing networks. 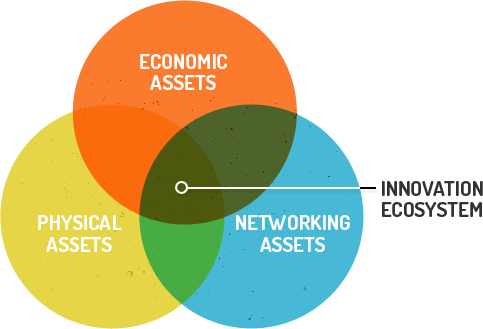 Networking assets that build weak ties focus on building new relationships across sectors. Examples include: networking breakfasts (where experts and star innovators offer new insights in their fields followed by open time to network), innovation centers, hack-a-thons across industry clusters such as life sciences and tech, tech-jam start-up classes and even the choreographed open spaces between buildings. Burgeoning innovation districts can be found in dozens of cities and metropolitan areas across the United States. These districts adhere to one of three general models. The “anchor plus” model, primarily found in the downtowns and mid-towns of central cities, is where large scale mixed-use development is centered around major anchor institutions and a rich base of related firms, entrepreneurs and spin-off companies involved in the commercialization of innovation. “Anchor plus” is best exemplified by Kendall Square in Cambridge (and the explosion of growth around MIT and other nearby institutions like Mass. General Hospital) and the Cortex district in St. Louis (flanked by Washington University, Saint Louis University, and Barnes Jewish Hospital). 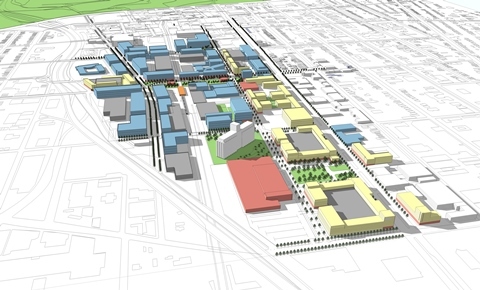 The “re-imagined urban areas” model, often found near or along historic waterfronts, is where industrial or warehouse districts are undergoing a physical and economic transformation. This change is powered, in part, by transit access, a historic building stock, and their proximity to downtowns in high rent cities, which is then supplemented with advanced research institutions and anchor companies. This model is best exemplified by the remarkable regeneration underway in Boston’s South Boston waterfront and Seattle’s South Lake Union area. 7 Research Triangle Foundation of North Carolina, “Research Triangle Park: Master Plan” (2011). First, build a collaborative leadership network, a collection of leaders from key institutions, firms and sectors who regularly and formally cooperate on the design, delivery, marketing and governance of the district. In advanced innovation districts in Barcelona, Eindhoven, St Louis and Stockholm, leaders found the Triple Helix model of governance to be fundamental to their success.8 The Triple Helix consists of structured interactions between industry, research universities, and government. 8 Professor Etzkowitz, “Innovation in Innovation: The Triple Helix of University-Industry-Government Relations,” Social Science Information: 3 (2003): 293-337. Second, set a vision for growth by providing actionable guidance for how an innovation district should grow and develop in the short-, medium- and long-term along economic, physical and social dimensions. Most practitioners cite the importance of developing a vision to leverage their unique strengths—distinct economic clusters, leading local and regional institutions and companies, physical location and design advantages and other cultural attributes. Third, pursue talent and technology given that educated and skilled workers and sophisticated infrastructure and systems are the twin drivers of innovation. Pursuing talent requires attraction, retention and growth strategies; integrating technology requires a commitment to top notch fiber optics (and, in some places, specialized laboratory facilities) to create a high quality platform for innovative firms. Fourth, promote inclusive growth by using the innovation district as a platform to regenerate adjoining distressed neighborhoods as well as creating educational, employment and other opportunities for low-income residents of the city. 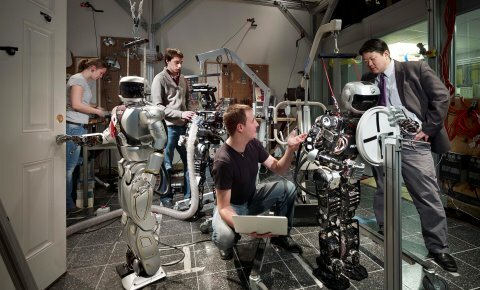 Strategies in places as disparate as Barcelona, Detroit and Philadelphia have particularly focused on equipping workers with the skills they need to participate in the innovation economy or other secondary and tertiary jobs generated by innovative growth. Finally, enhance access to capital to support basic science and applied research; the commercialization of innovation; entrepreneurial start-ups and expansion (including business incubators and accelerators); urban residential, industrial and commercial real estate (including new collaborative spaces); place-based infrastructure (e.g., energy, utilities, broadband, and transportation); education and training facilities; and intermediaries to steward the innovation ecosystem. Districts in Cambridge, Detroit and St. Louis have successfully re-deployed local capital to meet these needs. Shared and private wet lab spaces in the Kendall Square innovation district help drive life science innovation at reduced cost. Photo credit: LabCentral, Inc. The potential for the growth of innovation districts in the United States is exceptionally strong. Virtually every major city in the United States has an “anchor plus” play given the confluence of a vibrant central business district, a strong midtown area and transit connecting the two. 9 Pete Engardio, “Research Parks for the Knowledge Economy,” Bloomberg Businessweek, June 1, 2009. Many cities and older suburban communities are also making progress on “re-imagining urban areas,” repositioning underutilized sections of their community through investments in infrastructure (or infrastructure removal), Innovation districts embody the very essence of cities: an aggregation of talented, driven people, assembled in close quarters, who exchange ideas and knowledge in what urban historian Sir Peter Hall calls a “dynamic process of innovation, imitation, and improvement.” –Peter Hall, Cities in Civilization: Culture, Innovation, and Urban Order brownfield remediation, waterfront reclamation and transit-oriented development. Lastly, a handful of “urbanized science parks” (and their adjacent suburban communities) are clustering development, encouraging density and creating spaces to allow individuals and firms to network openly. 11 Peter Hall, Cities in Civilization: Culture, Innovation, and Urban Order (London: Phoenix Giant, 1999).